The vintage Mercedes restoration authority. 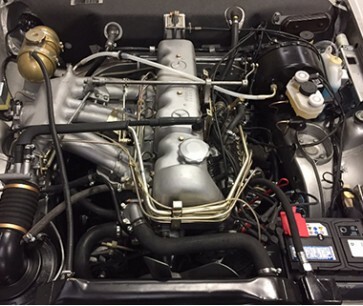 From the 190SL to the 560SL and everything in between, Aventura Motors is the Classic Mercedes restoration specialist. We have a deep knowledge of Mercedes and will bring your classic back to a finely restored factory correct condition. Our skilled craftsmen take pride in their ability to perform restorations that are stunning in fit and finish, mechanically sound and incredibly roadworthy. Get your classic Mercedes back on the road with Aventura. Call us today at 631-283-8819 and speak to a restoration specialist.